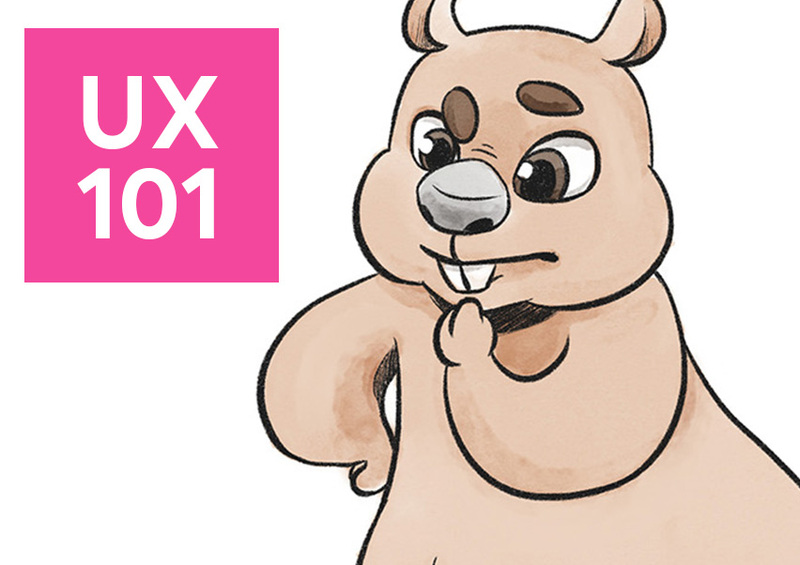 When it comes to eCommerce, even a small UX problem can cost you a lot of money. Luckily, a small improvement can make all the difference! Have a look at our list of top eCommerce UX issues and see if you have any of these on your website. The bigger the site, the more likely it’ll have performance problems. This is probably the most common problem among eCommerce websites. Large product photos, a database with thousands of entries, multiple plugins for all the cool upsell functionality – these can all slow down your site considerably. According to KissMetrics, every second of delay in page response results in a 7% decrease in conversions. 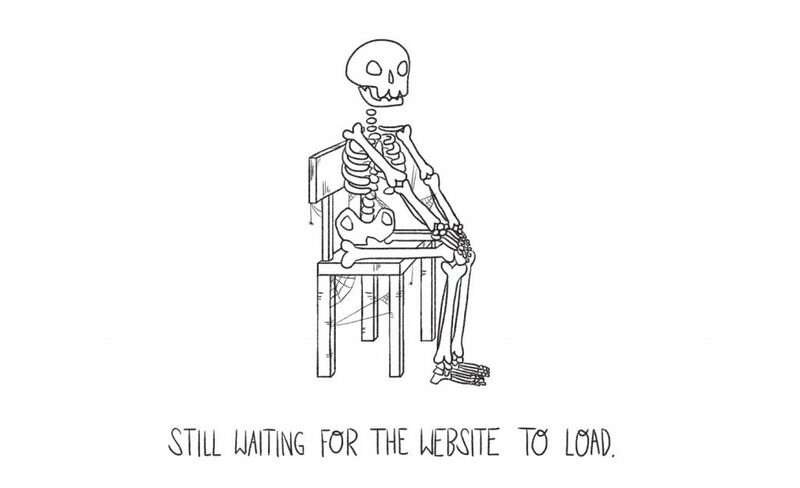 25% of visitors will abandon the page if it takes longer than 4 seconds to load. All the conversions lost due to this will add up to a large sum, no matter how low or high value your products are. It’s not just about bounce rate, though (that’s where users leave the web page after a very short time). 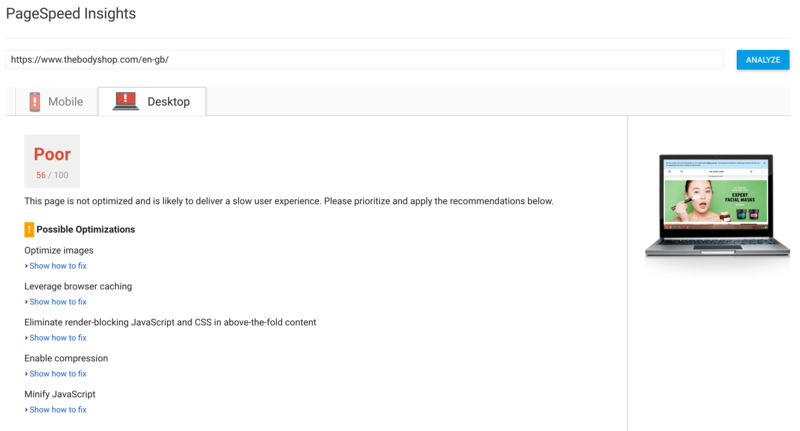 Page load also affects your position in Google. The longer your site takes to load, the lower you’ll appear in google rankings, which will result in less traffic coming to your site. Site speed really is a key thing to keep in mind, so monitor it regularly! A responsive site will adapt to different screen sizes. The majority of worldwide traffic comes from mobile devices now, so if your website is still not responsive, it’s time that you upgrade. Desktop-only websites are incredibly laborious to navigate, with small links and buttons that are hard to tap, having to scroll the page left and right to read the text in full, and fighting with non-touch friendly interface, to name but a few inconveniences. The vast majority of mobile users won’t even attempt going through the checkout process if they’re already having a hard time to learn about the product they’re interested in. Suggestive search helps customers find products quicker. There are three things that help users find what they’re looking for – categories, filters and search. When it comes to categories, it’s all about logic, and trying to find that sweet spot. If there are too many categories, you’ll confuse your users. If there are too few, they’ll get frustrated as they’ll have to browse products they’re not interested in. Unclear labels, unrelated products put into one very broad group, or using ‘other’ to house products that don’t fall into any of the remaining categories all have a negative impact on UX. Many eCommerce sites use filtering to help users find what they’re looking for, however, getting them right is more complicated than it may seem. Not being able to select multiple options at the same time, or having to pick a pre-defined price range rather than setting your own limit are just a couple of common frustrations. Filters are one of those things that you shouldn’t try to be too innovative with, and see what your competition is doing instead. Try to understand the logic behind them and how they work. This should help you spot the potential issues in yours. Finally, unless you sell just a handful of products, search functionality is an absolute must. Just like some people like to browse the aisles, while others like to follow their shopping list, for many customers, search is the preferred way of navigating a site. Lack of it or a poorly functioning one (doesn’t allow for spelling mistakes or returns completely unrelated products) is a major UX issue on any eCommerce site. 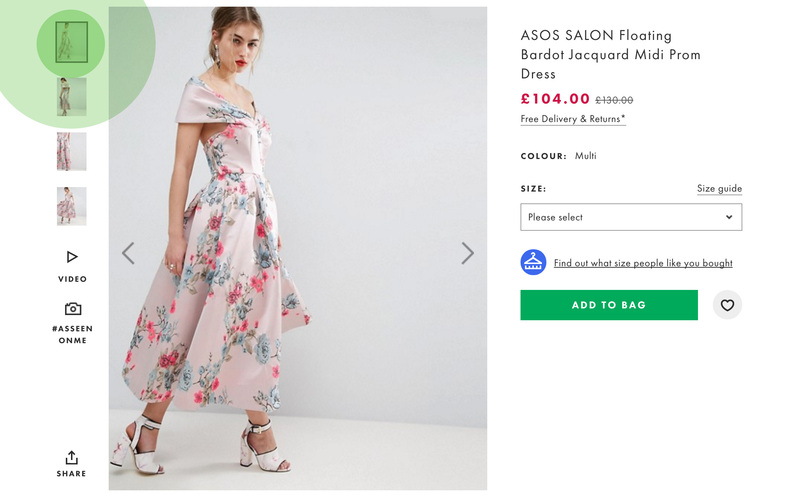 ASOS shows not only multiple product photos, but also videos showing it in motion, and pictures submitted by other customers. Shopping is all about making decisions. While it’s definitely more convenient to buy things with just a few clicks, users are not able to hold the product in their hands, look at it from all angles or read the small print on the label. When that information is not available online, either through great product photography or descriptions, some people may abandon the purchase. Take a step further and use the digital context to the fullest – add animations that explain how a product works or include review videos that talk about the product in greater detail. You don’t need to show all the delivery options at all times – they can be hidden in a tab. Unexpected shipping costs are the most popular reason for cart abandonment, according to Business Insider UK. The best strategy is to display them straight away, next to the product price, and include more general information in a dedicated Delivery & Returns page linked from the footer. Not showing them at all, or having just a few expensive shipping options, will definitely discourage your customers from completing the checkout process. Shopping bag previews are a useful tool for customers to quickly review their purchases. One of the key eCommerce rules is to have the basket clearly visible at all time. Although some retailers experiment with having it float at the bottom of the mobile screen, it’s safest to display the cart icon in the top right corner of the page, as this is where most people will be looking for it. It’s not just about the icon visibility, though. Lack of feedback on whether something has been added to the basket is a common UX problem, too. Be as clear as possible and reassure your user on every step of their journey. 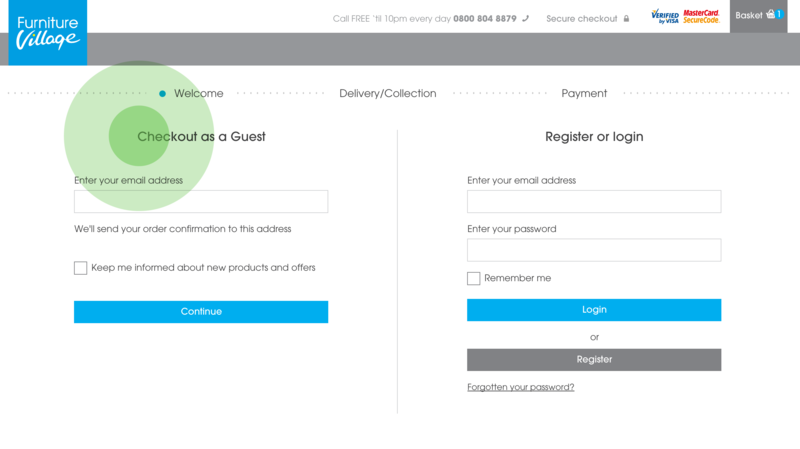 Furniture Village allows users to checkout as guests. They also use a progress indicator to show how many steps are left. 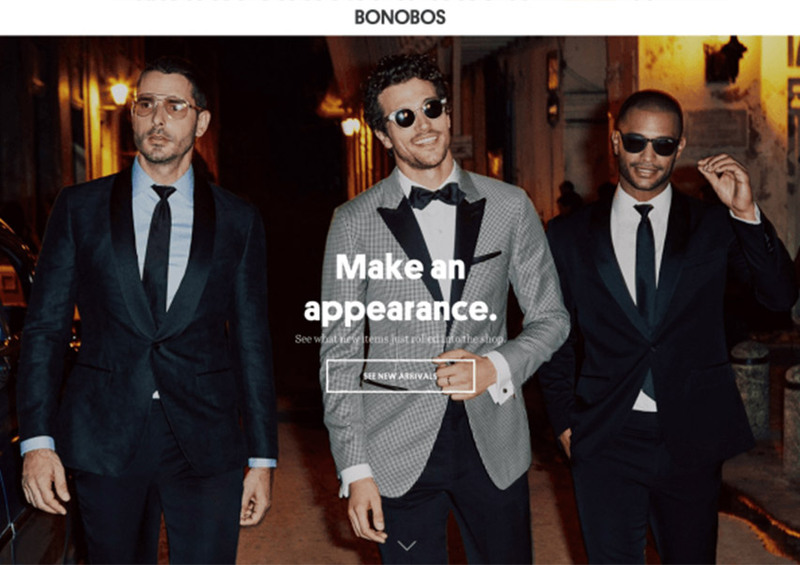 Checkout is the final and most important step that completes the user journey, yet many eCommerce sites make it difficult for their customers. It’s good to upsell products within the basket, but the checkout process should be distraction-free. Forcing a user to create an account first before they can complete the purchase can discourage them from continuing. The lack of a progress indicator, especially on a multi-page checkout, is often another reason for stopping halfway through. Single page checkouts with little helpers like postcode anywhere (aka PCA, which fills out the address fields for you) will increase the checkout completion rate. It’s such a crucial step, so try to make this experience as easy and hassle-free as possible! Payment method and security badges reassure customers that their credit card information is in good hands. Remember that many people feel anxious about sharing their personal details and card information online. They need reassurance that the site is safe and reliable. Hiding contact information (in case it’s needed when something goes wrong), not showing payment options available or overlooking various design issues like broken images and dodgy text will not help in making your shop look trustworthy. Be transparent and show the customer that they’re in safe hands. The key to good eCommerce UX is all about helping the user decide and making the checkout process as seamless as possible. Make sure the site loads fast and works great on any device, the user can find the product and all information they need, the site looks reliable, and navigating the basket and completing the checkout process is a piece of cake. Tackling all those things at once may seem like a daunting task, but even a small improvement will quickly turn this into new, happy customers.